And now, a Technical Momemt . . .
For full-time RVers the Holy Grail of on-the-road Internet service is AT&T’s Mobley. Hands down. What’s a Mobley? The photo above says it all . 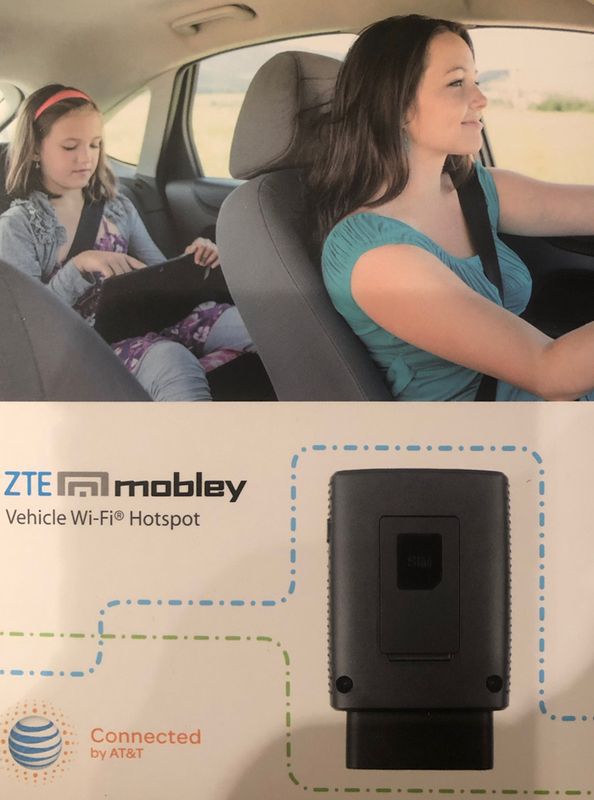 . . Internet service for the car that keeps the kids quiet while you’re driving. Once again technology saves the day. 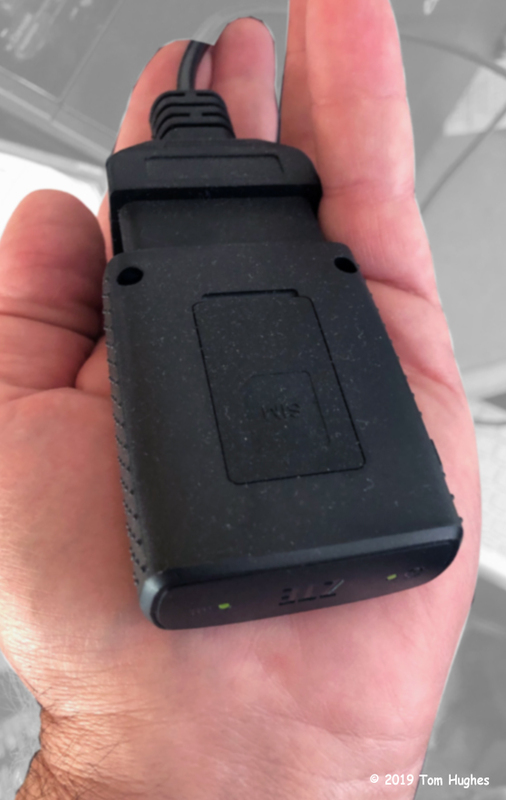 So while the Mobley was intended for use in an auto, many RVers have turned it into their primary Internet source for one very compelling reason . . . UNLIMITED INTERNET SERVICE. Yes, dear friends, UNLIMITED. Did I mention Unlimited? However, the original “Mobley Plan” ended two years and the device itself vanished from the AT&T site in 2018. End of the line? But then miracle of miracles happened . . . the Unimited Access Mobley reappeared this January and we were able to get one. Yahoo! We’ve been relying on it for Internet service for nearly a month, and while they’re have been a few hiccups (see following web link), the Mobley has performed flawlessly. And the Best of the Best News is . . . the AT&T Mobley costs $20/month (+ fees & taxes). $20. Unlimited Internet Service. There is a god. Did I mention Unlimited Data? Here’s the official scoop on the AT&T Mobley – Mobley Is Back. PostScript . . . unfortunately, it’s appears that this Mobley comeback was very limited as it’s now gone only after a month. C’est la vie.